The Silver Series from American Standard is their most cost-effective line, yet it still offers quality design and build along with a solid warranty. This all combines to give homeowners the confidence to select this series when they want to enjoy good performance with cost savings. Here is a post from Don giving his American Standard Silver SI 13 heat pump price along with the unit’s key features. We’ll keep this in our HVAC prices inventory of posts for readers to learn from as they do their own product and price research on our pages. “We’ve got a wonderful climate here in Bodega Bay, California, never too hot or too cold. We retired here from Lincoln, Nebraska and it makes a wonderful difference. We use so much less heat and we also cool less than we did in Lincoln since the breezes keep things comfortable most of the warmer months. We’re not exactly on a tight budget but I don’t believe in spending any more than is necessary. I didn’t retire in Bodega Bay on a government engineer’s salary by wasting money. When we shopped for heat pumps most of the dealers wanted to sell us 18 and 19 SEER units because they thought we could afford it. I made the point to them that we don’t NEED it whether we can afford them or not. Spine fin coil and reliable Duration compressor offer good efficiency and quiet service. Galvanized cabinet is sturdy to protect components and powder-coated for long-life and appearance. Rust-free pan and weather-resistant fasteners. Sizes available from 1.5 ton to 5.0 ton and 18K Btuh to 60,000 Btuh. 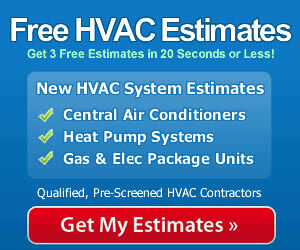 If you really want to keep your costs down like Don, hire a qualified contractor to install your HVAC system rather than attempting it yourself or hiring a handyman who tells you he can do ‘anything.’ HVAC installation is a job for experienced professionals with the training, skill set and specialized tools needed to do the job correctly. Only a properly installed heat pump and system will work as efficiently and last as long as it should, giving you the cost savings in the long run that you hoped for.